Gov. Branstad spoke with IowaWatch reporters during an exclusive interview Monday, Jan. 13 during the opening of the 2014 legislature. Despite talk about bipartisanship, the Iowa legislative session started with party leaders voicing different agendas, but Gov. Terry Branstad remaining confident in an IowaWatch interview that the session would stay focused. ON TUESDAY, Iowa Gov. Terry Branstad will outline his legislative agenda at a 10 a.m. Condition of the State address. Watch IowaWatch.org for coverage. Branstad indicated that he is willing to appeal beyond individual legislative districts to get his priorities done. “I have a distinct advantage because I’m the governor of the state and I’m elected by all the people of Iowa and given by the constitution of Iowa the responsibility of reporting on the condition of the state,” he said. During the opening of the legislature earlier Monday, House and Senate leaders were divided as each party announced its goals for the upcoming session. Branstad’s priorities for the session include providing jobs for veterans through the Home Base Iowa program, reducing student debt, expanding broadband Internet access in rural areas and improving anti-bullying efforts. Democratic leaders focused on raising minimum wage and increasing funding for education, while their Republican counterparts talked about increasing tax cuts and initiatives for businesses. House Speaker Kraig Paulsen, R-Hiawatha, said he wants to make this an “efficient session,” but was short on details about how to keep House representatives focused on bipartisan bills. “Gridlock is the pathway to ineffective government, let’s focus on what’s achievable,” he said. The state’s record $900 million surplus was one point of difference as legislative leaders spoke about this year’s agenda. 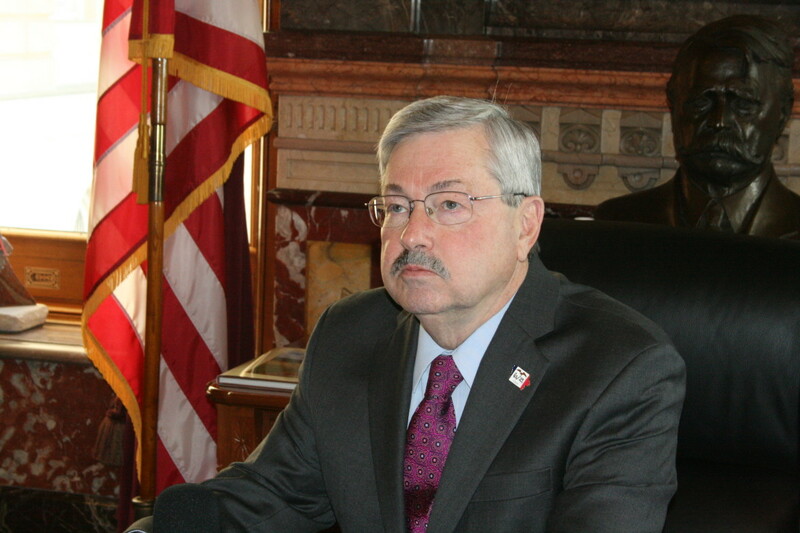 Branstad was adamant about not spending down the surplus. He said the money already has been worked into the state’s five-year plan to pay for income tax relief and education programs. “I really object to the short-term thinking that you spend every dollar you have,” he said. Senate leaders had different ideas. In his opening address, Senate Majority Leader Michael Gronstal, D-Council Bluffs, recommended using the surplus to increase the education budget, which has seen only small increases of nothing to 4 percent over the past few years. “It is time to start investing in our schools again,” he said. Senate Minority Leader Bill Dix, R-Shell Rock, said the money is needed to pay for commitments to education and property tax reform. He said the money should be returned to the people. Increased access to education, including universal access to preschool and increased access to higher education through the continuation of the tuition freeze at Iowa’s public universities, gained some support from both aisles. Senate President Pam Jochum, D-Dubuque, opened the Senate urging her colleagues to eliminate preschool waiting lists. She also supported continuing the tuition freeze at the University of Iowa, Iowa State University and University of Northern Iowa, which would require an increased budget for the state’s Board of Regents. The board is requesting another year of frozen tuition for students who are Iowa residents and attending the public universities for the 2014-15 fiscal year. Though Branstad said he would not address the tuition freeze until his Condition of the State address, he said he believes last year’s freeze was positive. However, he said, he also wants to encourage students to borrow only necessities, citing a financial literacy program at UNI. “I think that program at UNI has reduced student debt by 8 percent last year, and I think we need to encourage students not to borrow that money because it has to be paid back with interest,” Branstad said. Last year, Branstad vetoed $7 million in project planning appropriations for projects at the public universities. One project included $1.5 million to begin the bidding process for renovations to UNI’s Schindler Education Center. With UNI requesting funds to renovate the Schindler Education Center once again this year, Branstad said he’ll take another look at the proposal and make recommendations. “I do believe we’ve got to be careful about not over-committing ourselves to money that we can’t afford,” Branstad said. Jochum urged her fellow senators to focus on raising the minimum wage, which she suggested would coincide with Branstad’s goal of decreasing the number of Iowans reliant on public assistance. Sen. Tom Courtney, D-Burlington, said he hopes to pass a bill through the Senate during the first month that would increase the minimum wage to $10.10 per hour and include a stipulation to tie minimum wage to the state inflation rate. Branstad signed the first minimum wage bill, which went into effect in 1990, but said he was unsure whether this new bill would be successful in the House. He said he doesn’t know if he will support it this year. 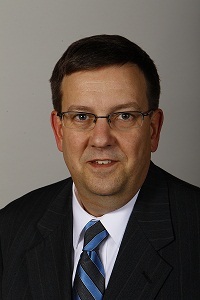 Concerns about the effect on small businesses may prevent some legislators from supporting the minimum wage increase, Courtney said, but House Minority Leader Mark Smith, D-Marshalltown, dismissed those worries. “Our experience in Iowa has shown that raising the minimum wage has little effect on businesses, but gives working Iowans hope of a better future,” he said. If legislators hold true to plans for an April end to the legislative session, they will grapple with decisions about what bills to push forward. With elections coming up, some might be tempted to put forth bills that bolster their election platforms, a practice Branstad said he hopes to discourage. “People are elected to different offices with different partisan agendas. But we have to remember: At the end of the day, we’re all accountable to the people of the state,” he said. Reporters Stephen Gruber-Miller, Sarah Hadley, Katie Kuntz, Lauren Mills, Lyle Muller and Linh Ta contributed to this report. IowaWatch covered this story for the Council Bluffs Nonpareil and The Hawk Eye (Burlington).